Knowing travelers are expressing concerns about emissions from Kilauea volcano, Hawaii Governor David Ige and State Department of Health Director Dr. Virginia Pressler emphasized today that the air quality of the Hawaiian Islands is safe and should not dissuade them from booking vacations. Dr. Pressler commented, "The air quality for the vast majority of the Hawaiian Islands is clean and healthy. The emissions from Kilauea volcano are a non-factor for Oahu, Maui, Molokai, Lanai and Kauai. 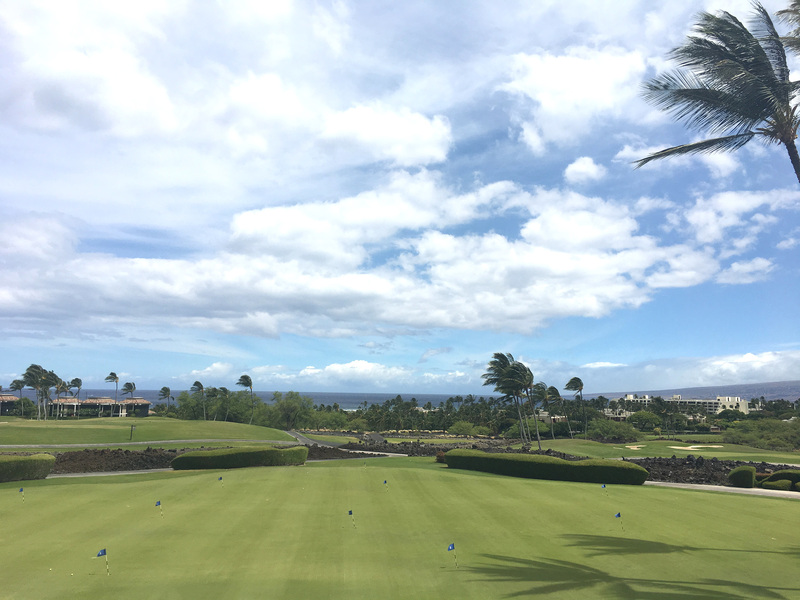 The weather is beautiful and warm with cooling trade winds everywhere in Hawaii and is exactly what travelers expect when coming here for a relaxing and fun vacation experience. This includes Hilo, Pahoa and the Kona and Kohala coasts on the island of Hawaii. "The areas where precautions are required for people are in lower Puna where lava is flowing and downwind from there on the island of Hawaii, particularly if they have respiratory problems. Because of heavy emissions of vog, as well as occasional bursts of ash plumes from the Kilauea summit, the southeast portions of the island are also routinely experiencing concerning conditions. Those visiting areas south of Hilo should stay alert for air quality updates, especially when wind conditions change. Fortunately, when trade winds are blowing, the vog and ash routinely move in a southwesterly direction and out to sea away from the Hawaiian Islands." Governor Ige stated, "Hawaii's air quality is being closely monitored on a continuing basis by scientists, meteorologists and the Hawaii State Department of Health. This team of experts says the air quality in the Hawaiian Islands is safe for residents and visitors, except in the affected areas. "Two other topics that I want to alleviate people's concerns about are laze and the Puna Geothermal Venture plant. Laze is a natural reaction that occurs whenever lava flows into the ocean as it is doing now and has from time to time over the past 35 years. This is all part of nature's way of creating new land for life to grow. Laze is limited to the area where the lava meets the ocean and is not a danger to people who keep a safe distance away. "At the Puna Geothermal Venture plant, the state is actively directing protective actions to reduce the risk from lava flows moving nearby. The underground wells have been sealed and secured minimizing the threat to the safety of people and communities. "The bottom line is that there is no reason for travelers to avoid making their vacation plans in the Hawaiian Islands due to safety concerns because of Kilauea volcano. "Visitors will be welcomed with open arms and treated to the hospitality, aloha, warmth and natural beauty that is found everywhere in Hawaii. The only area to avoid is lower Puna where the eruption is ongoing." George D. Szigeti, president and CEO of the Hawaii Tourism Authority (HTA), echoed the governor's sentiment in welcoming visitors to Hawaii. "We understand the concern some travelers may have about coming to Hawaii while Kilauea volcano is so much more active at this time. But we encourage everyone to do their research and rely on trusted federal, state and county resources that are providing truthful, accurate information about what is taking place in Hawaii. Those who do will find that coming to Hawaii is a smart decision to enjoy a wonderful summer vacation." Image caption: Photo of the Kohala Coast on the island of Hawaii taken on May 24, 2018.